У статті описано розвиток мовної ситуації у Китаї, висвітлено головні мовні прикладні задачі. Розглянуто історичний розвиток прикладної лінгвістики у Китаї та виділено головні періоди, які виділяють китайські провідні лінгвісти. На основі опрацьованого теоретичного матеріалу надано авторську періодизацію історичного розвитку прикладної лінгвістики як самостійної науки у Китаї до 1977 року. Keywords: China; professional training; Applied Linguistics; language reforms; main tasks of applied language researches; historical development of Chinese Applied Linguistics. Background: As long as our study is “Professional training of the masters of the foreign language and Applied Linguistics in the Chinese universities” the comprehensive study of the issue is not limited to analyze its current state, but demands a retrospective approach. Purpose: The aims of the article are to describe the current language situation in the country; to distinguish the main tasks of the studies on applied language and to represent the historical view of the Chinese studies on Applied Linguistics. Results: The author analyzes the works of such Chinese linguists as Dong Changlai (栋昌来), Feng Zhiwei (冯志伟), Gui Shichun (桂诗春), Liu Yanchun (刘艳春), Wen Qiufang (文秋芳), Yu Genyuan (于根元) and others to represent historical development of Applied Linguistics in China during different periods of the country’s development. Based on this analyse we put all information together and form new view of Applied Linguistics’ historical development which began about 5 century B. C. and still continues. The development duration we divide into 6 periods: 1) the period of traditional researches; 2) the second period from 1845 till 1963 3) the third period from 1964 till 1977; 4) the fourth period from 1978 till 1991; 5) the fifth period from 1992 till 1999 and 6) the sixth period from 2001 up until the present day. In our article we describe three periods among these six. Discusssion: Our research shows the objective socio-economic and political factors that have influenced the development of Applied Linguistics as an independent science in China, that it has deep historical roots and that reforming the system of the professional training in the major “Foreign language and Applied Linguistics” is due to the evolution of Applied Linguistics as a science at different stages. Hunko Liubov is a postgraduate in the Institute for Education Studies & Adult Education of the National Academy of Pedagogical Sciences of Ukraine, the leading specialist of the Department of aviation English of the Training and Research Institute of Air Navigation at National Aviation University. Her areas of the research interest are Pedagogy, Comparative Pedagogy, Linguistics, Applied Linguistics. Ключові слова: Китай; професійна підготовка; приладна лінгвістика; мовні реформи; головні задачі прикладних мовних досліджень; історичний розвиток китайської прикладної лінгвістики. Introduction. One of the most popular researches today is the development comparably new subject in scientific area – Applied Linguistics. The Chinese educational system is developing rapidly and the positive changes of its high education are valuable for improvement of the teaching methods, plans and forms in high education of our country. The comprehensive study of the issue demands a retrospective approach in the analysing of the current state of Applied Linguistics in China. The aims of the study to represent the historical view of the Chinese studies on Applied Linguistics; to show our own historical periodization of the science development from 5 B. C. till 1977; to distinguish the main tasks of the studies on applied language at that time; to describe the main factors that influenced the development of Applied Linguistics as an independent science in China. The theoretical framework and the research methods. General questions of Applied Linguistics were researched in the works of the scientists from different countries. The historical analysis of the development of the Applied Linguistics as independent science was researched in the works of: Zavialova O., Kaplunova M., Leninceva V., Semenas A., Bolton K., Lam A. S. L., Na Liu, Norman J., Chen Changlai (栋昌来), Feng Zhiwei (冯志伟), Gui Shichun (桂诗春), Liu Yanchun (刘艳春), Shi Linping (石林平), Yu Genyuan (于根元), Wen Qiufang (文秋芳) Zhang Yan (张艳) and others. For solving tasks we set in the study we used such research methods as: the general scientific method which helped us to analyze foreign and domestic sources and synthesized the results; the analysis of the documentation, what was useful for the studying of the main laws and acts of regulation of the language situation in the PRC; the comparative-historical method for the revealing of regularities and tendencies of the development of Applied Linguistics in China. The People Republic of China is the country with population of more than 1. 3 billion people, its territory covers about 9. 6 million square meters. From the time of the initiation of economic reforms and the Opening-up Policy from 1978 China has become one of the world’s leaders in economic growth with it’s average GDP per capita from 7 – 8% per year during last decades. China has become the second economy in the world according total nominal GDP (World Bank, 2015). China is now one of the most influential economies in the world, yet relatively little known in other countries about the language situation in China. Depiction of the events that influenced the development of the language situation and reforms that was held in China is one of the integral parts of our research, which is devoted to the study “Professional training of masters of foreign language and Applied Linguistics in higher education establishments of China”. There are 56 nationalities in China: according to census data in 2010. The Han nationality (1. 3 billion people) accounts 91. 6% of the general Chinese population, at the same time the part of minorities (0. 1 billion people) is 8. 4%. The total number of languages used in the country according to different data varies from 80 to 300, among them 33 are written languages. According to Chinese classification (Guo yuyan ditu ji, 2012) all languages are divided into Sino-Tibetan (Chinese, Tibetan, Nu language, Bai language, etc. ), Altaic (Mongolian, Turkic, Manchu-Tungus), Austronesian (Amis, Bunun language, Paiwan), South Asian (language Wa, De’ang language) and Indo-European (Russian, Tajik). Chinese includes hundreds of totally different local dialects, subdialects, speeches and language variants. According to the classification given in the Language Atlas of China, the Chinese language includes 10 main dialects, sometimes are selected only 7 and the last 3 are selected as subdialects: Guanhua/north dialects (官话), Wu (吴语), Min (闽语), Guandong / Cantonese (粤语), Xiang (湘语), Gan (赣语), Hakka (客家话), Anhui (徽语), Ping (平话) and Jin (晋语) (Guo yuyan ditu ji, 2012). Due to the sheer amount of dialects in the country, we can conclude that this the main reason for the official language policy formation, namely implementation of “Standard Mandarin/Putonghua” (普通话), which is based on Beijing dialect that belongs to the northern group of dialects in the Chinese language (Na Liu, 2010; Kaplunova, 2017; Leninceva, 2016). At the same time like spreading Putonghua became one of the main tasks of the Chinese language policy, the number of related issues arose. These are some of them: finding a compromise between the official state language and dialects on the territory of the country; elimination of illiteracy of the population; proliferation of simplification of hieroglyphics and popularization of the official system of the Chinese language Romanization – Hanyu pinyin (汉语拼音), which greatly facilitated the studying of Putonghua. Since the middle of 1980s, much effort has been spent on developing an exam for native speakers –Putonghua Proficiency Test (普通话水平考试/PSC) which began to be taken in China in 1994 and was officially approved in 1997. Another exam was previously developed in 1988 – The Chinese Proficiency Test of China (汉语水平考试 / HSK) – for non-native speakers. Today HSK is globally recognized as the test standard for Chinese as a foreign language (Bolton K, 2003; Na Liu, 2010; Zavialova, 2009; Kaplunova, 2017). For today, the significant resources of knowledge about the Chinese language policy are analytical reports about the linguistic situation in China (《中国语言生活状况》) from the National Language Working Committee (国家语言文字工作委员会), which is under direct leadership of the Ministry of Education of the People's Republic of China. These reports monitor the language policy of the country in spheres such as education, publications, media, television, and the Internet. Reports have been published since 2005 and contain the detailed study of the most important linguistic issues, relevant to the language statistics data, laws and other valued material of the People's Republic of China. 1) Work on the standardizing of the pronunciation in Putunhua; researches about the tones of words; completing the list of words with a neutral tone and erized final (儿化音). 3) Completion of the writing rules of the transcription (using Pinyin) of the Chinese names; using digits and punctuation marks; release of the standard of the national language and other development of the standards in China. 4) Completion of the work on the international coding of Chinese characters 甲骨文– oracle bone inscriptions – inscriptions on the bones or tortoise’s shells of the Shang Dynasty (16th – 11thcentury B.C. ), as well as the ancient hieroglyphic handwriting 小篆古. 5) Work on the publication “Green book of the existence of the Chinese language” (《中国语言生活绿皮书》). 6) Publication of the “Sample forms of running-hand script characters” (《手写行楷字形规范》) etc. (Zhongguo yuyan shenghuo zhuangkuang baogao, 2017). The study of the professional training of Applied Linguists in China is not limited with analyzing its current situation, but it needs a retrospective approach – identification of objective socio-economic and political factors which influence the formation and development of Applied Linguistics as an independent science in China. According to our reconnaissance, the establishment and development of Applied Linguistics in China has deep historical roots. Moreover, the reform of the system of vocational training on the specialty “Foreign Language and Applied Linguistics” is also due to the development of Applied Linguistics as a science at various stages. An analysis of psychological and pedagogical works has shown that Chinese researchers do not have a unified approach about distinguishing the main periods of the formation and development of Applied Linguistics in China. One of the first linguists in China Gui Shichun (桂诗春) subdivides the historical development of Applied Linguistics as follows: 1) The first period – 40-s of the 19th century. The years when the term “Applied Linguistics” is introduced into use, when a faculty of the English language appeares at Michigan University, the years when the first linguistic journal “Journal of Applied Linguistics” in America was established. 2) The second period – 60-s of the 19th century – the period of the development of Applied Linguistics. This period is divided into: the first stage before the Second World War: the time of “requirements of reality” (实际的需要); the second stage – late 50's: so-called time of “development of linguistics” (语言学本身的发展); the third stage – the middle of 60-s: the period of “the development of language teaching” (教育的发展); the fourth stage – the end of 60-s: the time of “the formation of Applied Linguistics” (应用语言学本身的成熟). 3) The third period – from 1964 when the Applied Linguistics was in the active process of its development. 4) The fourth period – from 1978, the time of the development of Applied Linguistics in China (Gui Shichun, 1988: 11 –13). It is interesting to analyze the research of another famous Chinese linguist Feng Zhiwei (冯志伟). In his book “General description of Applied Linguistics” («应用语言学综论») he gives another periodization of the historical development of applied linguistics in China: 1) from Spring and Autumn period (770 – 476 years B. С.) and Warring States Period (476 – 221 years B. C.); 2) 50 – 60-s of the 20th century –conception; 3) 70 – 80-s of the 20th century – active development, 80-s – official researches on Applied Linguistics as independent scientific brunch in China; 4) 90-s – foundation of the first journal on Applied Linguistics, holding the first Chinese scientific conferences in this field (Feng Zhiwei, 1999: 21 – 26). Leading linguist in China Yu Genyuan (于根元) offers 4 periods of the development of the Applied Linguistics in China in 20th century. His periodization mainly connected with the main events in the evolution of the country: 1) at the junction of the 19th and 20th centuries (1894 – 1912); 2) from the beginning of the 20th century to the proclamation of the People's Republic of China (1912 – 1949); 3) from the proclamation of the PRC to the beginning of “the reform and opening-up policy” (改革开放) (1949 – 1978); 4) from “the reform and opening-up policy” till 21st century (1978 – till today) (Yu Genyuan, 1998: 12 – 16). Wen Qiufang (文秋芳) fallows to the periodization of Shu Dingfang (束定芳) and Hua Weifen (华维芬), namely the distribution of the historical development for decades, so: 1) the first period – conception (引进阶段) from 1978 till 1987; 2) the second period – development (提高阶段) from 1988 till 1997; 3) the third period – innovations (发展创新阶段) from 1998 till 2007 (Sun Fengguo, 2016: 8). In the context of our study, we also focus on periodization of the famous researcher Chen Changlai (栋昌来): 1) initial period (萌芽时期) – from the Shang – Zhou Dynasties (15 – 3 century B. C. ) till Spring and Autumn period (770 – 476 B. C.) and Warring States Period (476 – 221 B. C.); 2) traditional period (传统时期) – from Qin (221 – 207 B. C.) and Han Dynasties (206 B. C. – 220 A. D.) till the last years of Qing Dynasty (the beginning of the 20th century); 3) period of reconstruction (变革时期) – from the beginning of the 20th century ; 4) the period of experimental reforms (改革实验时期) – after 1949; 5) the period of development of mentality (繁荣发展和思考) – after 1978 (Qi Huyang&Chen Changlai, 2004: 7 – 12). Worth paying attention periodization of Liu Yanchun (刘艳春), which has only two periods of development of Applied linguistics as independent science: 1) starting period (起步阶段) (1984 ～ 1998) and 2) period of development (发展阶段) (from 1999 till now) (Liu Yanchun, 2010: 98 – 101). After we have analyzed the works of leading Chinese scientists about historical development of Applied Linguistics, we believe it is ground-breaking to bring our vision of the periodization of the establishment and development of Applied Linguistics in China. According to our periodization the first period began from the 5th century B. C. and the beginning coincided with the date when the first sources, in which the question of language appeared. It can be affirmed that Applied Linguistic issues were part of Chinese experience long before the term 《应用语言学》 (yingyongyuyanxue) – “Applied Linguistics” came into use. The first period is the time when the scientists of that time actively extended their knowledge in the field of linguistics, when the research or compilation of dictionaries conducted not to the field of scientific research, but because of the society's needs for this information. The Chinese sources of the language studying became important things in the development of Applied Linguistics. The applied nature of ancient linguistics showed first in the interest to the interpretation of words in ancient texts from the 5th century B. C., concepts and connections between the word and its meaning were formed; in the 3rd century B. C. the theories of the “names’ correction” appeared, that was the correct selection of the name, which would correspond to the essence of the meaning of the word. Thus, Confucius (孔子) made a significant contribution to the development of Applied Linguistics when he stressed indissoluble, that was, natural, connection of names with things and affirmed that the correction of the names should be the first necessary step in the management of the country. His theory of the “names’ correction” was taken at the school of legists. But the philosophers of the Daoism, by contrast, talked about the random connection between the word and the things. Xun Kuang (荀况) synthesized both approaches (the 3rd century B. C.) (Yun Xiao 2011; Zavialova, 2009). However, we can talk about the formation of linguistic tradition only from the 3rd – 2nd century B. C., when several scientists compiled the first explanatory dictionary “Erya” (《尔雅》). There were given interpretations of the words arranged according to the semantic groups. Also worth of attention such first dictionaries as: “Shi Zhounian” (《十周年》) (9th – 8th century B. C., maybe even later), there is the list of the characters for learning; “Fang Yan” (《方言》) (the 1st century B. C. – the 1st century A. D.), where the words that were used in different cities of the Han Dynasty were collected; “Shuowen Jiezi” (《说文解字》) by Xu Shen (许慎) (1st – 2nd century A. D.) is the first full dictionary which contains all characters the compiler knew, with explanation of the characters, structure and origin. This dictionary grouped character by the main semantic element – “key” or radical. And the etymological dictionary “Shiming” (《释名》) by Liu Xi (刘熙). Writing radical’s dictionaries according to the example of “Shuowen Jiezi” became traditional thing. In the 3rd – 6th centuries there appeared dictionaries of homophones, where the tones of the words were described, rhyming dictionaries where we can found an idea of the characters’ sound at that time (Norman, 1988; Yun Xiao, 2011). We also would like to note such an early grounds of Applied Linguistics in China as: creating a transcription Fang Qie (反切) – a traditional method of indicating the pronunciation of a Chinese character by using two other Chinese characters, the first having the same consonant as the given character and the second having the same vowel (with or without final nasal) and tone; creating rhyming dictionaries; interpretation of ancient literature; compiling such textbooks for children as “Three Character Classic” (《三字经》), “The Book of Family Names” (《百家姓》), “Thousand Character Classic” (《千字文》), the invention of such teaching methods as copying of the writing the words and making a pair of antithetical phrases Dui Zi(对子), as well as a large number of monographs that were created over the centuries and which are devoted to the studying of ways of the expressions of poetry – poetic criticism and genre notation about genre “Ci” (《词》) (Feng Zhiwei,1999; Qi Huyang&Chen Changlai, 2004; Zavialova, 2009). During next ages the development of Chinese traditions continued, but in the same frames. New dictionaries were created and reached a huge amount. The biggest Chinese dictionary was compiled in 10-s of the 18th century, it contained 47 035 characters and 1 995 their variants. At the late stage from 19th century “the empty words dictionaries” – dictionaries of particles and other language’s grammatical elements appeared. The second period: 1870 – 1963 years. In 1870-s the prominent Polish linguist Jan Baudouin de Courtenay (1845 – 1929) was the first who offered the definition “Applied Linguistics”. It was the origin of Applied Linguistics as an independent scientific discipline. After nearly a hundred years of researches and accumulation of experience, after the end of the Second World War, after social, scientific, cultural and educational development especially the development of electronic technology, each language in the world has faced the challenge of the continuous implementation of new language strategies, stimulating of the implementation and development of such a new science as Applied Linguistics. It is worth to note that the development of Chinese Applied Linguistics, compared with the global development of this discipline, was late for almost a hundred years. But there were particular importance in the release of the grammar of the Chinese language “Basic Principlesfor Writing Clearly and Coherently by Mister Ma” by Ma Jianzhong (马建忠《马氏文通》) in Commercial Publishing House of Shanghai (上海商务印书馆) in 1898. It was this manual that became the symbol of the origin of Applied Linguistics in China (Yu Genyuan, 1998: 12). An important feature of the first period was the transition from the traditional study of linguistics to the modern one. In 1919 during “the Vernacular Movement” (《白话文运动》) and “Yan'an rectification movement” (《延安整风运动》) in 1942 – 1944 raised the relevant issues, which were related to many important linguistic issues of that time. These movements determined changes in the views of the Chinese intelligentsia: the massive reorientation from traditional culture to westernization. The movement touched all aspects of China's life: spreading spoken language Baihua (白话), revision of the Confucian ethical standards, criticizing traditional historiography, new requirements for education. The main questions of the scientific researches at that time were: simplification, not proper attention to the theoretical side of research, nor scientific language style and excessive Europeanization in the researches. The opening of the world's first courses on Applied Linguistics at the University of Michigan in 1946 was an important historical date of that period. In 1949 at the same university was founded the world's first magazine of Applied Linguistics. Meanwhile, a major event in the development of Applied Linguistics in China was the publication of works of Lü Shuxiang and Zhu Dexi “Course in stylistic grammar” (吕叔湘、朱德熙《语法修辞讲话》) in “The People's Daily” (《人民日报》) July 6th 1951. It was the work that gained enormous popularity and educated several generations of linguists. In October 1955 in Beijing was held the National Conference on Reform of the Chinese Written Language (《全国文字改革会议》) and “Academic conference on the standard of the modern Chinese language” (《现代汉语规范问题学术会议》), which became the symbol of the entering of Applied Linguistics in China to a new stage of its development. Those were setting the standards and future directions of spreading Putonghua, selected the content, methods and main tasks about standards in modern Chinese language. Teaching Chinese language has got significant reforms. In 1955 trial lessons were hold on the teaching of Chinese language and literature and in 1956 this system was introduced to the whole country (Yu Genyuan, 1998: 13). In China at that time, we should value such a prominent sphere of early development of Applied Linguistics as a machine translation. In 1956, a project on machine translation was begun at the Academy of Sciences of the People's Republic of China, mainly between Chinese and Russian languages. Later it was changed to a multilingual translation system. Mostly at this time there was spreading of philological knowledge, it became aware that the development of language studies is an important part of the development of culture and state policy. The third period: 1964 – 1977 years. The beginning of the second stage of the formation and development of Applied Linguistics was characterized by reduction of the researches in this direction. As Yu Genyuan(于根元) mentioned in his work “Formation and development of Applied Linguistics in China” (于根元《中国应用语言学的形成和发展》, 2010): “After the 60s of the 20th century, it was difficult to carry out research and develop the industry, the time from 1966 can be called a period of stagnation, which lasted for 10 years” (Yu Genyuan, 2010: 15). The beginning of the third period year 1964 matches with the year when the First International Seminar on Applied Linguistics was hold in France and the Scientific Union for Applied Linguistics was founded. These two events can safely be called the symbol of the formation of a scientific subject. In the developed countries of Europe and America in 1970-s new sciences at the junction of Linguistics and Computer science were rapidly progressing: Processing of Linguistic Information, Computer Linguistics, Sociolinguistics, Language Planning and the Theory of Language Teaching etc. A large number of scientists who made significant progress in the development of these areas appeared at that time. In China in 1978 the publication of the articles on Applied Linguistics by young scholars in the journal “Chinese Philology”(《中国语文》) deserves the attention. The analysis of the historical development of Applied Linguistics as an independent science in China allowed, to find out the connection between developing Applied Linguistics and objective socio-economic and political factors which influence the formation and the development of Applied Linguistics as an independent science in China. As we can see according to the paper the main tasks of the studies on Applied language at that time were: compilation of dictionaries; reforming Chinese language; work on the standardizing of the pronunciation in Putunhua. The performed study does not cover all periods and aspects of the multisided problem of historical development of Applied Linguistics in China and requires further investigation. The prospects of our further research are: the work with the development of Applied Linguistics up to our days; the analysis of main thoughts and views of the Chinese scholars on Applied Linguistics as an independent science. 国语言地图集（第2版） (2012). 北京: 商务印书馆 [Guo yuyan ditu ji (di 2 ban) [Language Atlas of China (the 2nd ed.)]. Beijing: Commercial Press] (in Chinese). 桂诗春 (1988). 应用语言学. 湖南: 湖南教育出版社, 301 p. [Gui Shichun Yingyong yuyanxue [Applied Linguistics]. Hunan: Hunan education press, 301 p.] (in Chinese). 刘艳春 (2010) 我国应用语言学研究方法的历史发展. 语言文字应用. № 2, pp. 98 – 101 [Liu Yanchun Wo guo yingyun yuyanxue yanjiu fangfa de lishi fazhan [A historical sketch of China's Applied Linguistics methodology] Applied linguistics, № 2, pp.97 – 106] (in Chinese). 齐沪扬, 陈昌来 (2004). 应用语言学纲要. 上海: 复旦大学出版社， 312 p. [Qi Huyang, Chen Changlai Yingyong yuyanxue gangyao [Essentials of Applied Linguistics]. Shnaghai: Fudan university press, 312 p.] (in Chinese). 孙丰果 (2016) 中国应用语言学发展的若干问题 文秋芳教授访谈录. 外语教学理论与实践 ( FLLTP), № 2, pp. 8 – 13 [Sun Fengguo Zhongguo yingyong yuyanxue fazhan de ruogan wenti. Wen Qiufang jiaoshou fangtanlu [Some questions about the development of Applied Linguistics in China. Interview with Professor Wen Qiufang]. Foreign language learning theory and practice (FLLTP), № 2, pp. 8 – 13.] (in Chinese). 石林平 (2005) 应用语言学发展史综述. 河西学院学报, № 21, pp. 49 – 52 [Shi Linping Yingyong yuyanxue fazhan shi zongshu [Review of the Development of Applied Linguistics]. Journal of Hexi university, № 21, pp. 49 – 52] (in Chinese). 于根元 (1998). 20世纪的中国应用语言学研究. 北京:华语教学出版社, 298 p. [Yu Genyuan 20 shijie de zhongguo yingyong yuyanxue yanjiu [Chinese Applied Linguistics in the 20th Century]. Beijing: Chinese Teaching Press, 298 p.] (in Chinese). 于根元 (2010). 中国应用语言学的的形成和发张. 语言文字应用. №1, pp. 11 – 18 [Yu Genyuan Zhongguo yingyong yuyanxue de xingcheng he fazhan [The history and development of Chinese applied linguistics]. 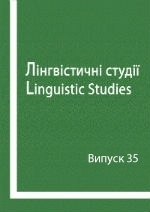 Applied Linguistics, №1, pp. 11 – 18] (in Chinese). 张艳 (2016). 应用语言学本科专业发展状况调查与分析. Unpublished PhD thesis. 西安: 西安外国语大学, 61 p. [Zhang Yan Yingyong yuyanxue benke zhuanye fazhan zhuangkuang diaocha yu fenxi [Research and analysis of the professional training of bachelors of Applied Linguistics]. Unpublished PhD thesis. Xi’an: Xi’an Foreign Studies University, 61 p.] (in Chinese). 中国语言生活状况报告 (2017). 北京: 教育部 [Zhongguo yuyan shenghuo zhuangkuang baogao [Report on the language situation in China]. Beijing: Ministry of Education] (in Chinese). Завьялова, О. И. (2009). Китайские диалекты и современное языкознание в КНР. Вопросы языкознания, № 6, cc. 102–108 [Zavialova O. I. Kitaiskiie dialekti i sovremennoie yazikoznaniie v KNR [Chinese dialects and modern linguistics in the PRC]. Voprosi yazoloznaniia, №6, pp. 102 – 108] (in Russian). Каплунова, М. Я. (2017). Языковая политика и функциональное развитие языков в КНР [Yazikovaia politika I funkcionalnoie razvitiie yazikov v KNR [Kaplunova M. Y. Language policy and functional development of the languages in the PRC]]. Candidate’s thesis. Institut yazikoznaniia Rossiiskoi akademii nauk, 202 p. (in Russian). Ленинцева, В. А. (2016). Развитие прикладной лингвистики в Китае. Китайский язык: лингвистические и методические аспекты: материалы междунар. науч. конф. Чита: Забайкальский государственный университет. C. 36 – 44 [Leninceva V. A. Razvitiie prikladnoi lingvistiki v Kitaie [Development of applied linguistics in China]. Kitaiskii yazik: lingvisticheskiie I metodicheskiie aspekti: materiali mezhdunar. nauch. konf. Chita: Zabaikalskii gosudarstvenii universitet. Pp. 36 – 44] (in Russian).